Getting nervous as the big day approaches? You'll feel more relaxed if you meet with your surgeon beforehand to get your questions answered. He can tell you what to expect and explain how to prepare. Most surgeries used to happen at hospitals, says Frederick L. Greene, MD, a medical director at the Levine Cancer Institute in Charlotte, NC. Now many are done in an "outpatient" center, which means you don't have to stay overnight. Ask your surgeon to walk you through the steps. Find out what kind of technique will be used. Also ask about the type of anesthesia you'll get to keep you numb and pain-free during the operation. A group of professionals will take care of you before, during, and after surgery. Besides the surgeon, there may be an anesthesiologist, nurses, and assisting doctors. 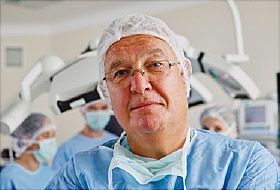 Todd J. Albert, MD, surgeon-in-chief at the Hospital for Special Surgery in New York, suggests you ask your surgeon who's on your medical team and how much experience they have. Will I need to take tests? Do I need to give blood? Are there certain medicines I need to take? Will I have to stop eating or drinking at a certain time? Get details about what you can and can't do after your procedure. You may need to take time off from work or get help to care for yourself or your kids. When I'm home, will I need special help, supplies to care for my surgical cut, or medication? When will I feel back to my old self again? Ask for a timeline. "Find out what you'll be able to do on day 1, day 5, etc.," Albert says. Many surgeons have a fact sheet with all these things listed. What's the most common one? Ask your doctor what you can do before surgery to boost the odds of a good result, Albert says. He may want you to exercise or improve your nutrition. There may also be things you shouldn't do. For example, you may have to limit or avoid alcohol, cigarettes, and some medications. Can I ask you more questions later? It may be a lot to take in during the visit. Ask your surgeon if it's OK to call or come back later with questions. You may also want to bring a family member or friend. He can take notes or fill you in later on things you may have missed during the visit. What information will I need to share with my surgeon? Once you've had your questions answered, you'll feel more confident as you get ready for your surgery. American College of Surgeons: "10 Questions to Ask Before Having an Operation."